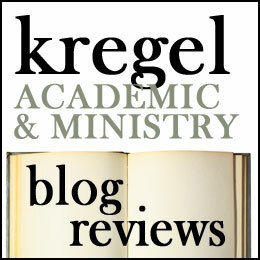 Directing My Kid’s Spiritual Formation: a book review. As an erstwhile pastor and a full-time parent, I have a vested interest in my kids’ spiritual formation. So I was excited to dig into Jared Patrick Boyd’s book, Imaginative Prayer: A Yearlong Guide For Your Child’s Spiritual Formation. Boyd is a Vineyard pastor, spiritual director and founder of The Order of Sustainable Faith (a missional monastic expression). He has previously authored a book on composing a rule of life (Invitations & Commitments: a Rule of Life, The Order of Sustainable Faith, 2014). In Imaginative Prayer, Boyd provides a template for leading your children through a year-long transformative prayer practice (actually 42 weeks). The book begins with a six-stanza ‘Imaginative Prayer Creedal Poem (11-12). Each week has an Ignatian style imaginative prayer designed for kids ages 9-12, reflections for parents and mentors, suggestions for pressing deeper into each theme with your children (through activities, research, and conversation), and suggestions to get your children to journal about. Even seven-week cycle includes a week of review which incorporates questions, activities and memorizing of the section of Boyd’s creedal poem that corresponds to that section. The 42 weeks cover the topics of God’s Love, Loving Others, Forgiveness, Jesus the King, The Good News of God, and The Mission of God. I read through this book a couple of weeks ago and took an atypical amount of time sitting down to write this review. Part of it is, this book came out in July, so me, or anyone reviewing it now, has not used the book as it was intended (a 42-week spiritual journey with kids). I actually have not used this with my own children, though I spoke with my daughters about it and they are super excited to try this out and I think it is a great way to harness their imagination to deepen their connection to God in Christ. Essentially what Boyd provides, is a roadmap for us parents to slow down and become spiritual directors for our kids. Boyd tested the material with kids ages 9-12 because children these ages are old enough to grapple with significant questions and abstract concepts but also young enough to have a ‘sense of playfulness’ which makes the material more engaging (303-304). However, I plan to use this with my 8 and my 10-year-old. Having previewed the material, I like Boyd’s sense of the larger Christian story and the way he employs contemplative practices in an engaging way for kids. On the topic, I have a big problem with a lot of Christian children’s curriculum because they focus almost exclusively on getting kids to behave better, promoting a form of moralism. Or they impart a faith formula that kids ought to believe. What is refreshing about Boyd’s approach is that is a transformative invitation to prayer. I may revisit this later, but for now, I give this an enthusiastic 5 stars. Now for the practice of prayer. 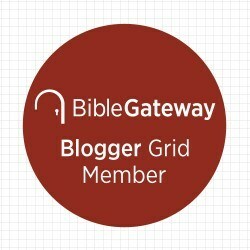 . .
Posted on September 19, 2017 Categories Blog, Book Review, Books, Children, IVP, Prayer, Prayers, Reviews, Spiritual Formation, Spiritual Practices, SpiritualityTags Book Reviews, Imaginative Prayer, InterVarsity Press, Jared Patrick Boyd, Parenting, Spiritual FormationLeave a comment on Directing My Kid’s Spiritual Formation: a book review.